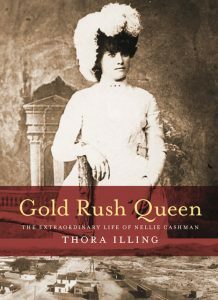 Gold Rush Queen: the Extraordinary Life of Nellie Cashman was published in 2016 by TouchWood Editions of Victoria. Nellie Cashman (1845-1925) was an amazing woman. She was a self-reliant entrepreneur and miner who thrived in the boom and bust mining camps of the North American West. Physically and mentally tough, Nellie was a warm-hearted friend to the sick and needy. Sustained by her Roman Catholic faith, she gave away most of what she earned to hospitals and the church. Single by choice, Nellie had a gift for friendship. 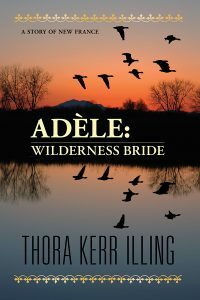 Non-judgmental, Nellie counted among her more colourful friends Wyatt Earp and Doc Holliday as well as the poet Robert W. Service. She also had a warm regard for the Sisters of St. Ann, both in Victoria and their northern missions, and she is buried in Victoria alongside their graves. 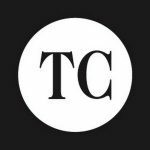 Nellie will be remembered forever for her mid-winter trek into the Cassiar district of northern British Columbia to take food and medicines to miners trapped by snow and dying of scurvy. She and six male companions walked on snowshoes for 77 days to reach the miners, arriving in time to save most of them. In Alaska Nellie is still a legend. She lived for 20 years in a remote mining camp above the Arctic Circle, and she was still mining and mushing hundreds of miles for supplies when she was 79. Few white women settled and worked in Alaska in those years and it took enormous resilience to survive. Gold Rush Queen is available in bookstores and on Amazon.